Green Spring Gardens Park is one of the most beautiful parks in Northern Virginia. 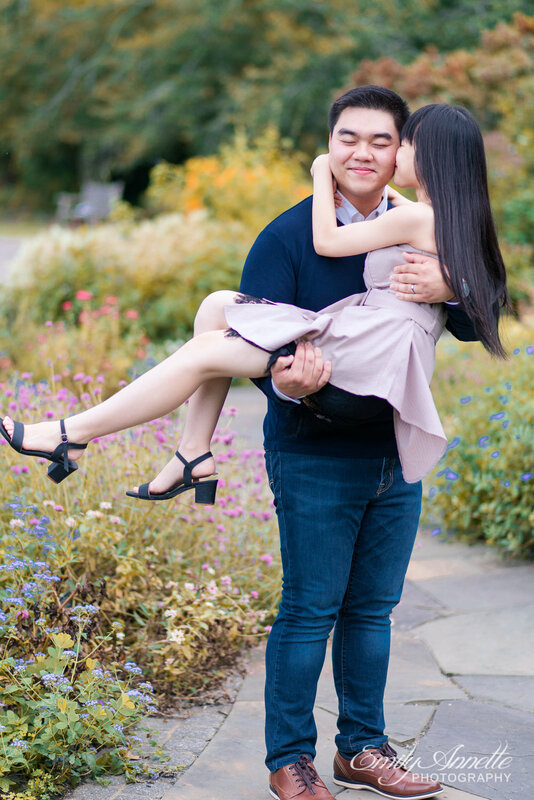 It’s a perfect romantic spot for a couple looking for beautiful portraits and I was so excited to capture these images of Philip and Linh here! From the historic house to the lush gardens and greenery, there are plenty of gorgeous spots for intimate, fun, and joyful photos of you and your love. It helps as well that Philip and Linh are just so darn cute! Spots are filling up for my mini sessions at Green Spring Gardens on Oct 14th so if you want portraits like Philip and Linh (or Kassidy!) contact me soon to book your own session! Details on the mini sessions can be found here.